The world’s greatest platform for creative freedom. 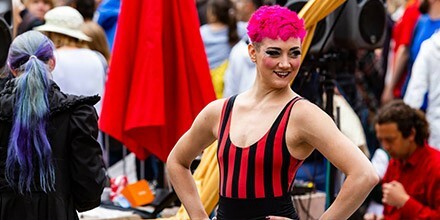 Discover everything you need to know about visiting the Edinburgh Festival Fringe – an inspiring celebration of the best performance and entertainment from every continent of our planet. Are you planning to bring a show to the next Edinburgh Festival Fringe, or to manage a venue? Do you work within the arts or media industry? Then we have all the information you need on how you can take part. Find out all about the work of the Edinburgh Festival Fringe Society, the charity that underpins the Edinburgh Festival Fringe. Find out about the various ways you can support the Edinburgh Festival Fringe Society from one-off donations to becoming a Friend of the Fringe.